Human’s impact on nature is unmistakeable, from vast swaths of lost forest to heaps of trash on beaches. Looking at these images might be upsetting, but still demonstrate what we’ve done. They don’t demonstrate what we might lose. Scientists warn that we’re potentially amidst a sixth mass extinction event, thanks to human activity. 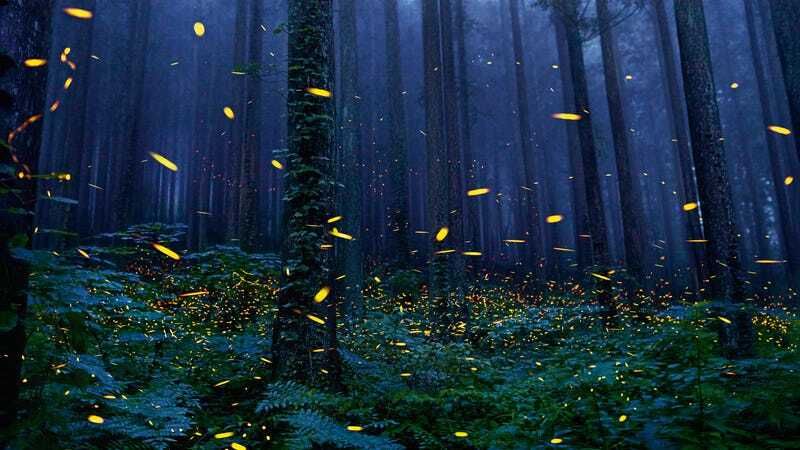 Humans are indirectly and directly responsible for the loss of species once as common as passenger pigeons and Tasmanian tigers. Before these species go extinct, they’re endangered—and one photographer is trying to document these species facing the struggle before it’s too late. 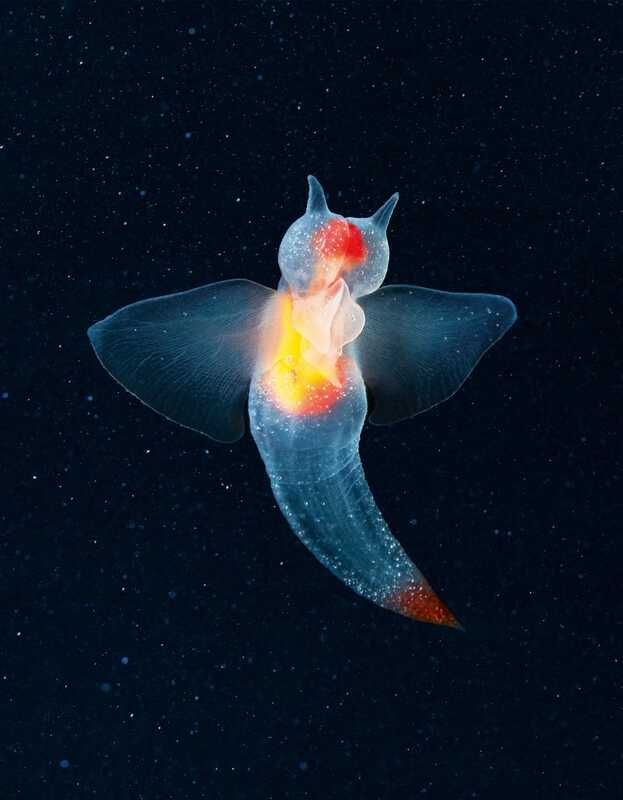 Photographer Tim Flach released his collection of stunning photographs in the enormous book Endangered this week, alongside commentary from chief scientist of the National Geographic Society, Jonathan Baille. The book costs 65 bucks. But honestly—it’s very good. 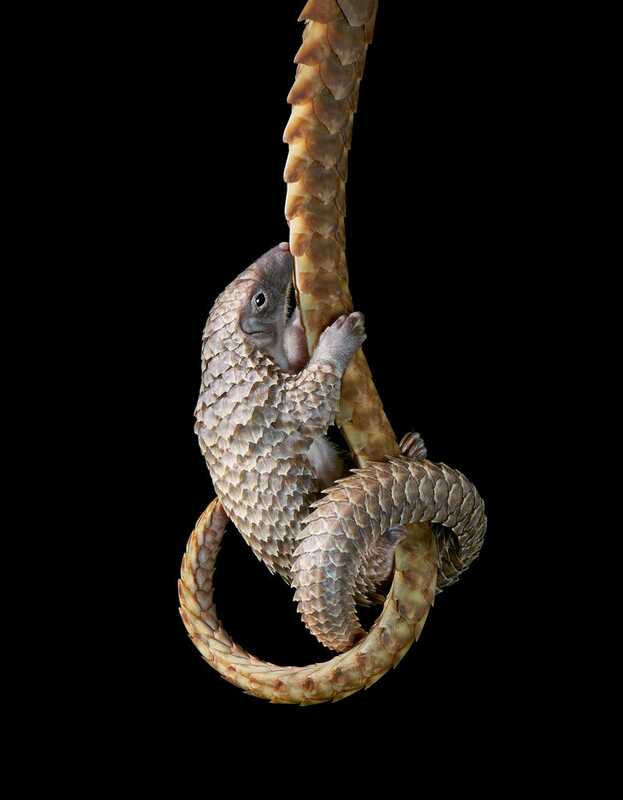 Pangolins are considered the most trafficked animal in the world. They’re hunted in Africa as meat, and in Asia where their scales are used in traditional medical treatments. All four species are considered vulnerable and one is critically endangered, writes Baille. The sea angel’s endangered status hasn’t been evaluated, but it’s falling victim to ocean acidification. These animals are important for feeding other fish, like the larvae of cod and salmon. 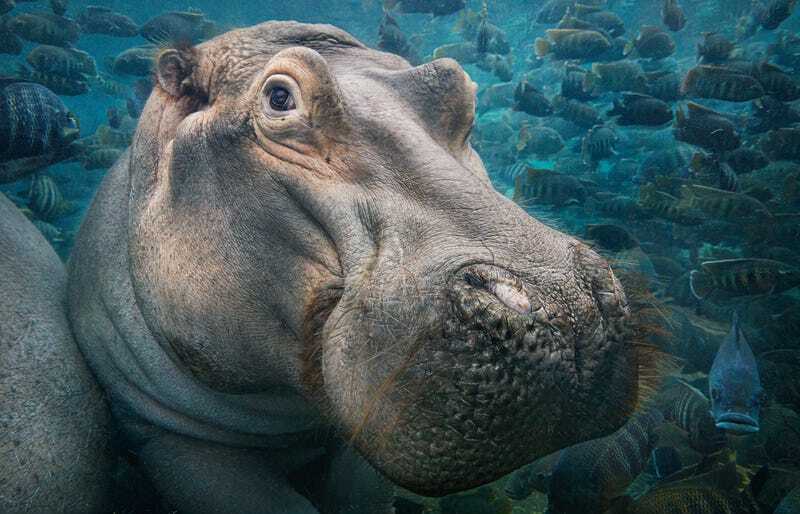 Hippopotamuses are listed as vulnerable by the International Union for the Conservation of Nature. Their numbers have fallen due to hunting both for meat and for their teeth, which can substitute as ivory. 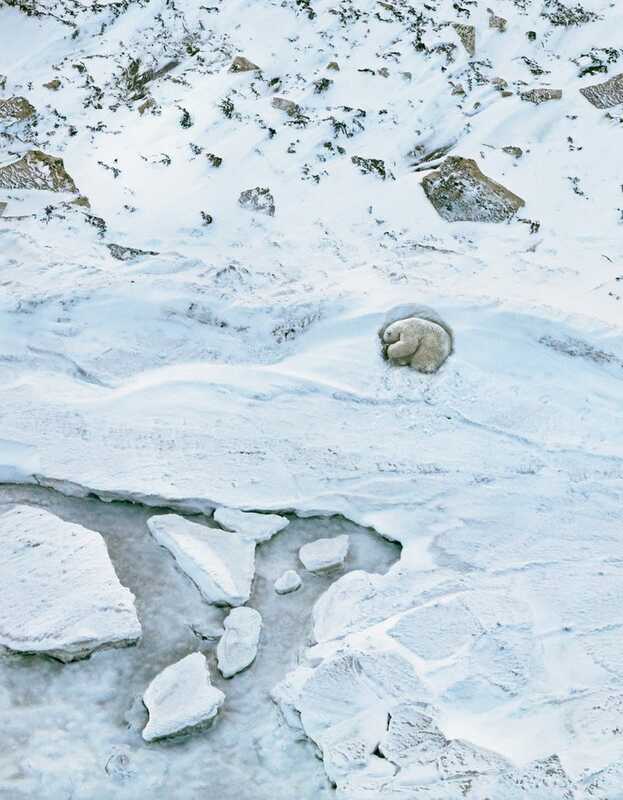 Polar bears are listed as vulnerable by the IUCN as they succumb to the effects of melting polar ice caps, thanks to climate change. However, Inuit communities attempt to hunt the bears sustainably, writes Baille. 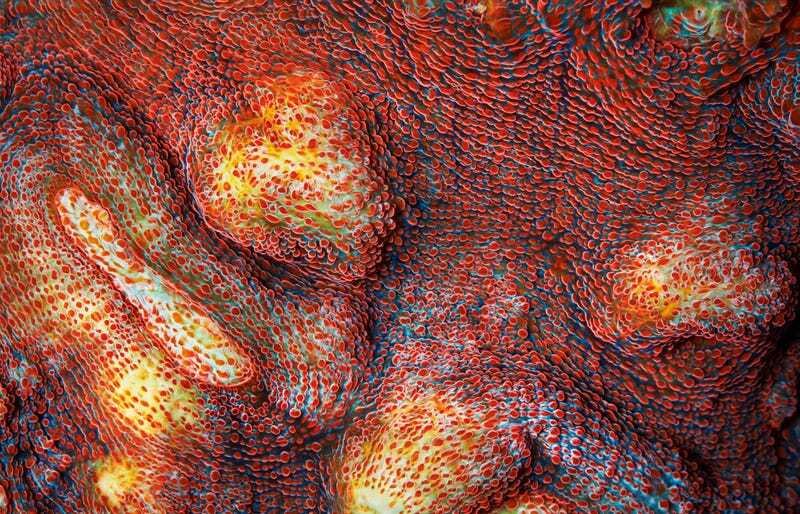 Pictured above are chalice coral polyps, followed by Montipora coral. 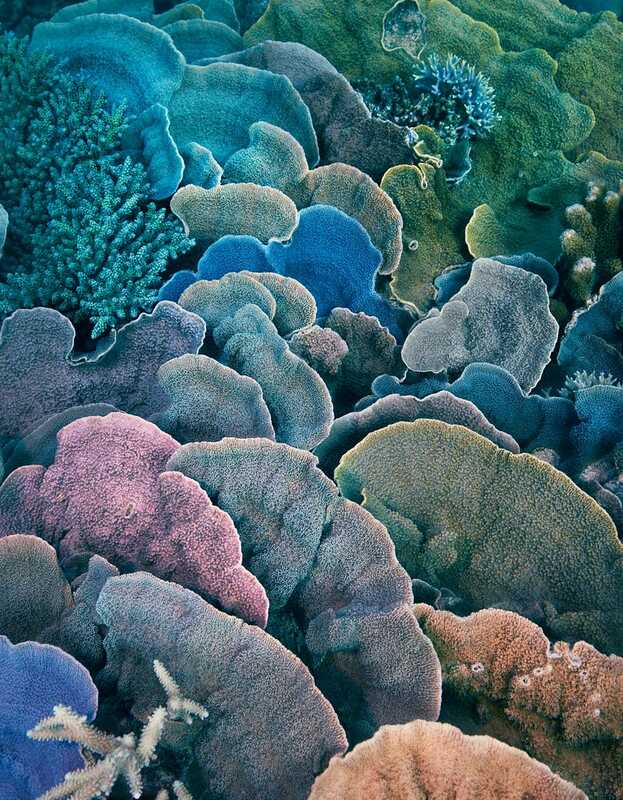 Single coral polyps attach, building and grow together as a colony in one large aggregation of connected individual organisms. They are listed as “least concern” by the IUCN but are vulnerable to bleaching events from the effects of climate change. Yellow-eyed tree frogs lay their eggs ten feet in the air in the plants surrounding ponds during rainy seasons, writes Baille. The frog’s habitat has been stunted thanks to development in Costa Rica’s capital, San José. The frog is currently listed as endangered by the IUCN. 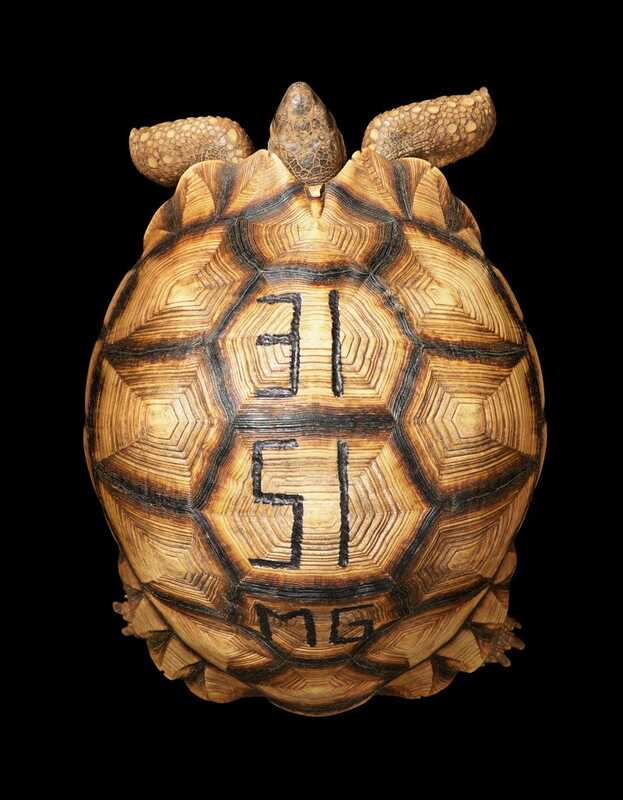 Poachers and smugglers trade Madagascar’s ploughshare tortoises for their shells, and the species is now critically endangered. 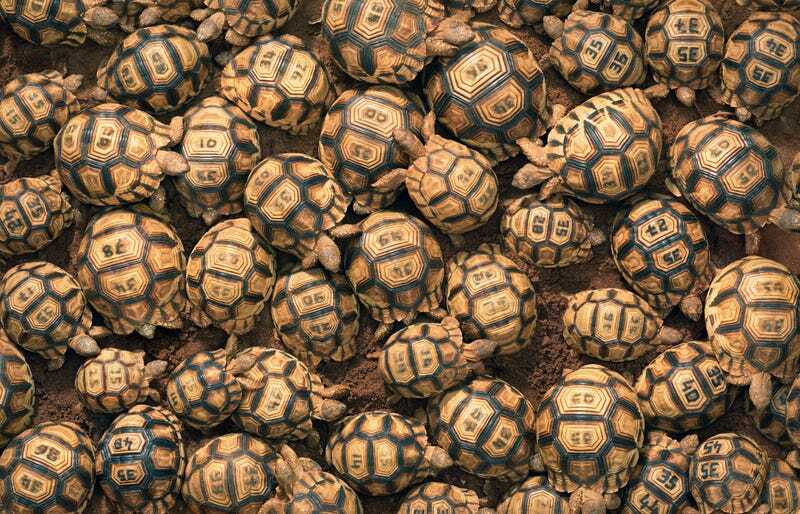 One organization bred 600 tortoises from a set of confiscated ones, then purposely defaced the shells to deter smugglers, writes Baille. 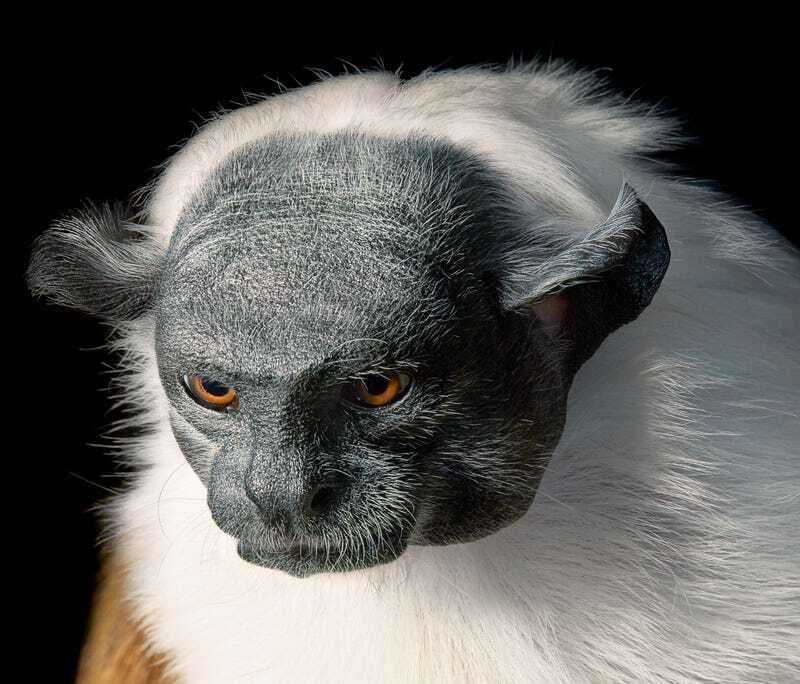 The pied tamarin is listed as endangered by the IUCN as suburban development has led to deforestation and habitat lost. 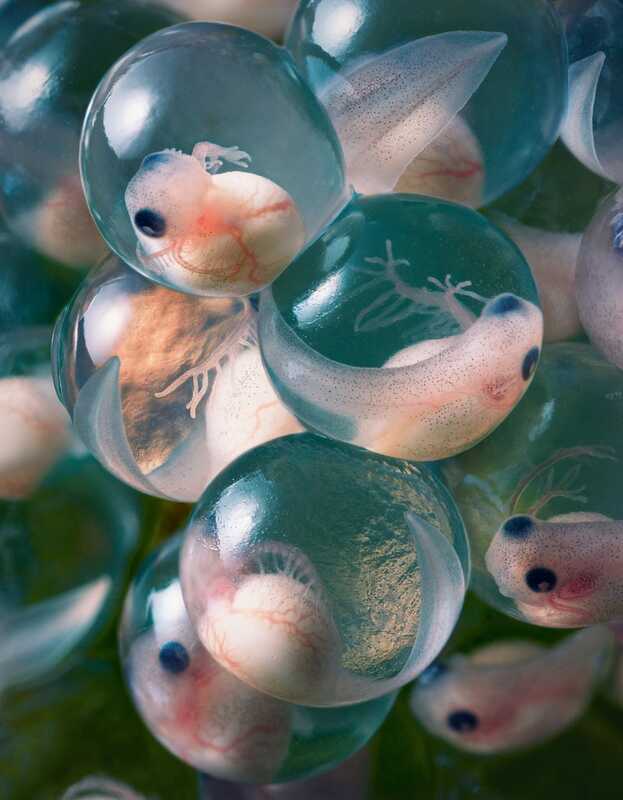 Numbers have begun to grow as conservationists breed the species in captivity. 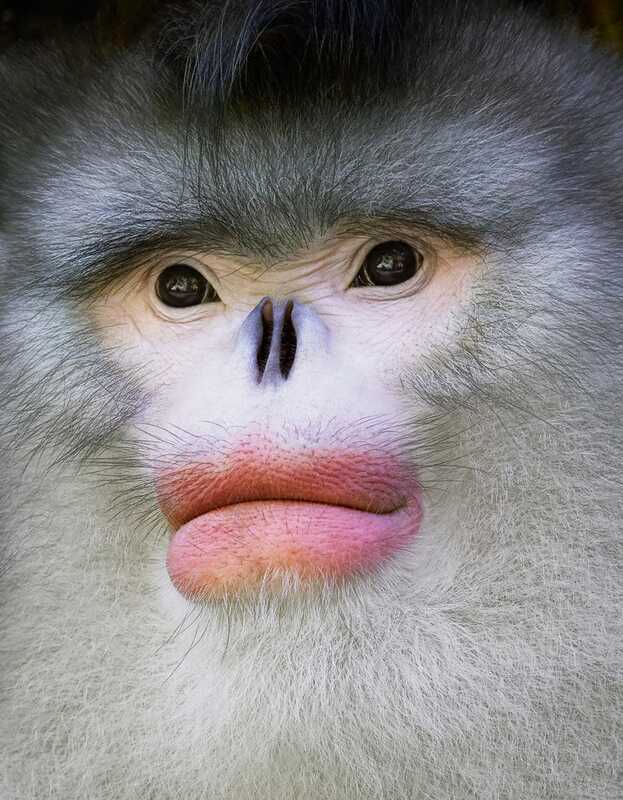 Endangered tells the story of the Yunnan snub-nosed monkey’s biggest fan, filmmaker Xi Zhinong. He created a documentary about the monkeys, and saved a swatch of their habitat from logging after sending a litter to the Chinese government. 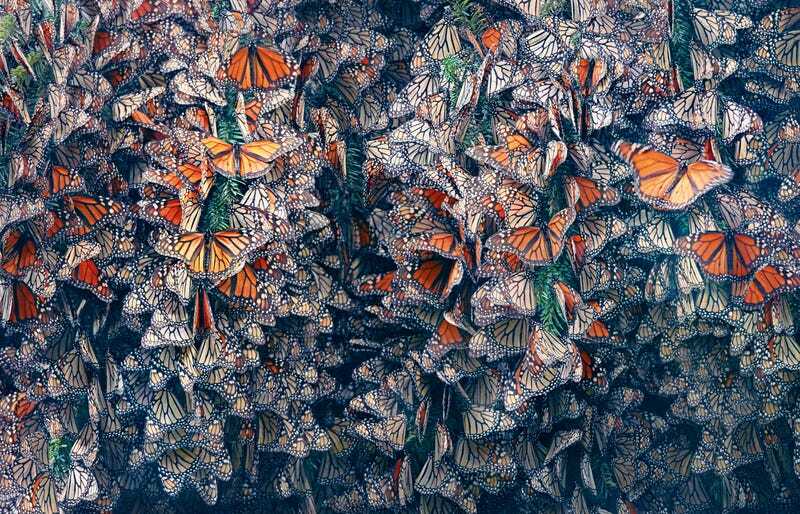 The monarch butterfly isn’t endangered, yet. But conservationists are concerned after observing large declines in migrating populations in California and Mexico between 1997 and 2016, writes Baille. 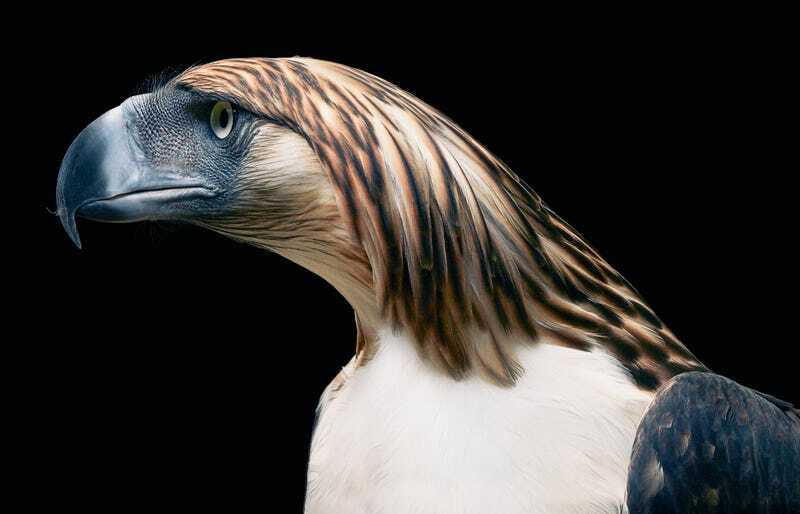 Phillipine eagles are an apex predator, which makes them vulnerable to toxic chemicals that have built up through the food web as bigger animals eat smaller animals. Much of their habitat has also been deforested, and they are listed as critically endangered by the IUCN. 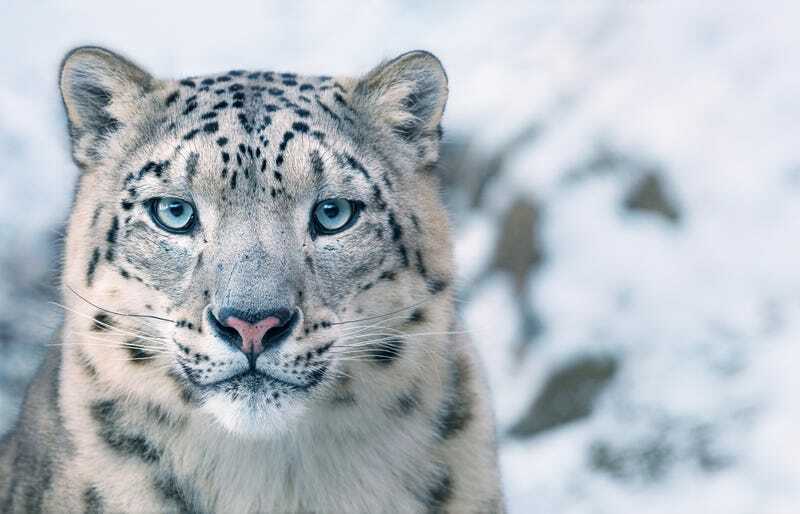 Each snow leopard survives on over 80 square mile habitat apiece in central Asia, meaning that humans may increasingly come into contact with them as they expand their farmland. They’re listed as endangered by the IUCN. 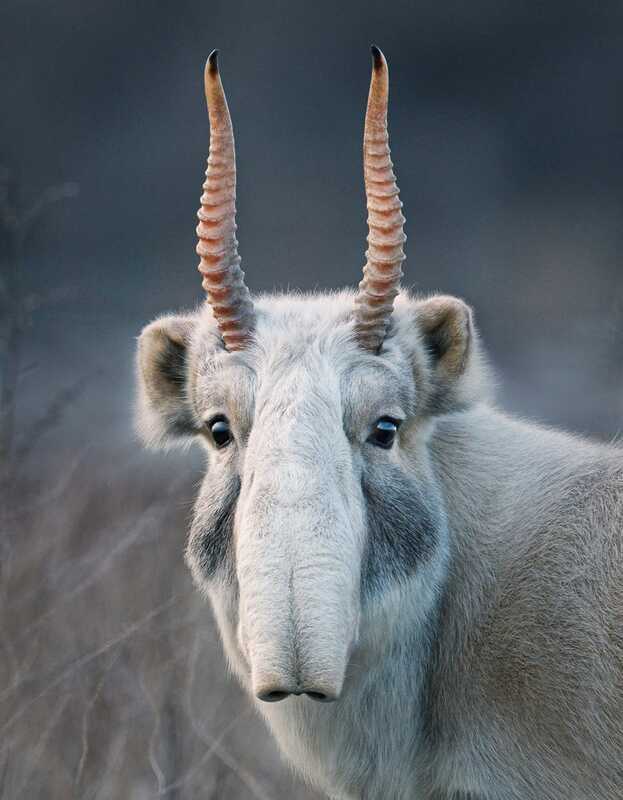 Saiga are listed as critically endangered by the IUCN after hunting for their meat and horns, as well as a recent bacterial infection that decimated populations. Conservationists are hopeful that the saiga will bounce back, writes Baille. 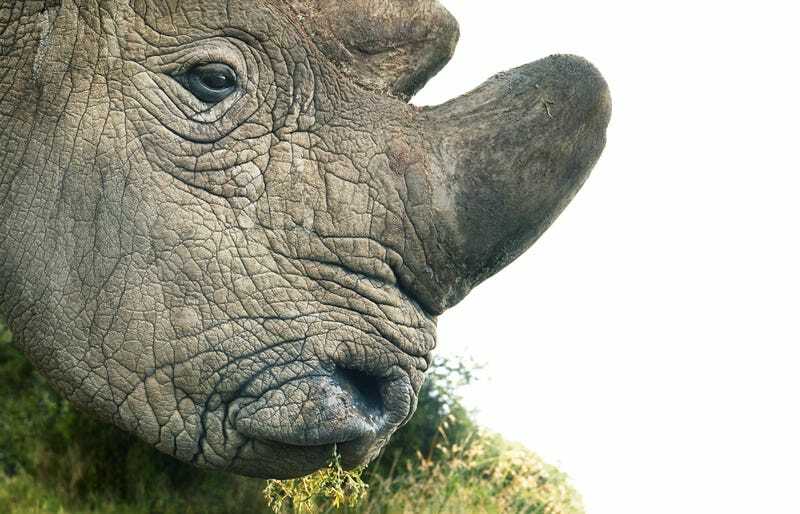 Rhinos have succumbed to heavy losses due to the high value of their horns. The South African government legalized domestic trade hoping that prices would drop, but Baille writes that 1,000 rhinos were still killed in 2016. Pictured here is the northern white rhino—there are only three northern white rhinos left on Earth, all owned by a zoo. 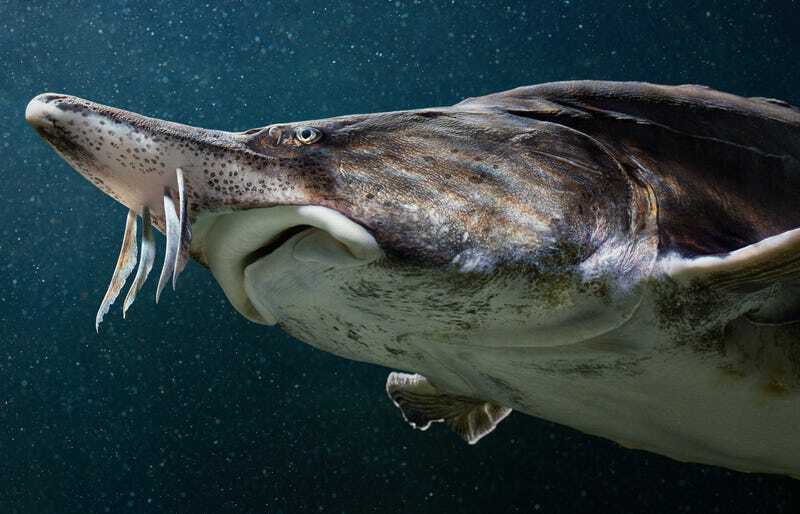 The 16-foot-long beluga sturgeon is illegally hunted for food—its eggs go for over $9,000 a pound, writes Baille. It is simultaneously succumbing to habitat loss from damming projects, and the IUCN lists it as critically endangered. 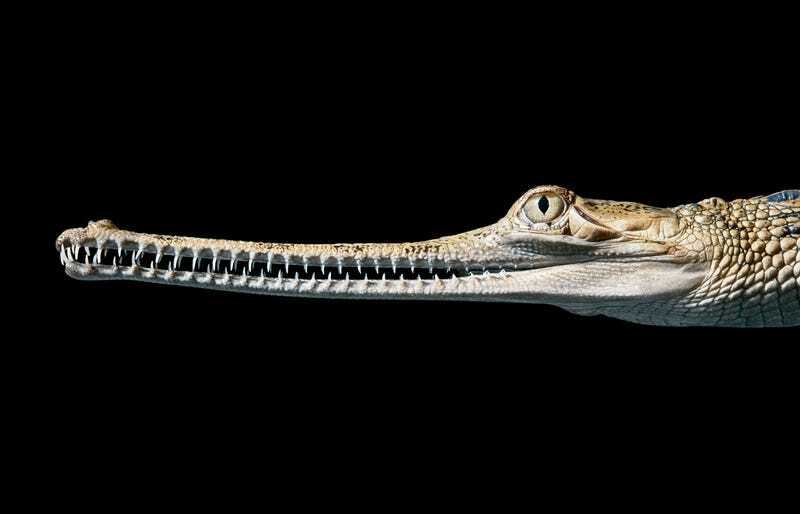 There are only a few hundred Indian gharials left on Earth, mostly in sanctuary. They’re the victims of threats like hunting for food and medicine as well as habitat loss from humans.